Let us take you through the importance of filing VAT and service tax returns for June 2017. The Input Tax Credit (ITC) that is available during the VAT, excise and service tax return regime can be carried forwarded to GST. This can be done by filing of VAT and excise returns for June 2017 and service tax returns for the period April to June 2017. Every manufacturer is required to file monthly or quarterly excise return (for small scale industries). A manufacturer to carry forward CENVAT credit to GST has to file his returns for June 2017 or for the period from April 2017 to June 2017. The due date for the same is 10th July 2017. The CENVAT credit specified in the return will be eligible to be carried forwarded as CGST input tax credit. Based on the monthly or quarterly return filed (different in each state) the input VAT credit in the return will be carried forwarded as SGST input tax credit. The due date for filing VAT returns ranges from 20 days from the end of the month or quarter to 70 days from the end of the month or quarter. Various taxes are levied on services like – service tax (14%), Swachh Bharat Cess (0.5%) and Krishi Kalyan Cess (0.5%). An input tax credit of service tax and Krishi Kalyan Cess can be taken. No credit is available for Swachh Bharat Cess. A service provider should file his service tax – 3 returns for the period April to June 2017 within 15th August 2017. This return can be revised within 45 days from the date of filing of return. The closing balance of input tax credit will be carried forwarded as CGST input tax credit. Ram Technologies Ltd can carry forward this credit by filing the excise, service tax and VAT returns. The input VAT will be brought into GST as SGST input tax credit and the excise and service tax input credit will be allowed as CGST input tax credit. File TRAN 1 form within 90 days from 1st July 2017 i.e within 28th September 2017. How to file TRAN-2 on GST portal? 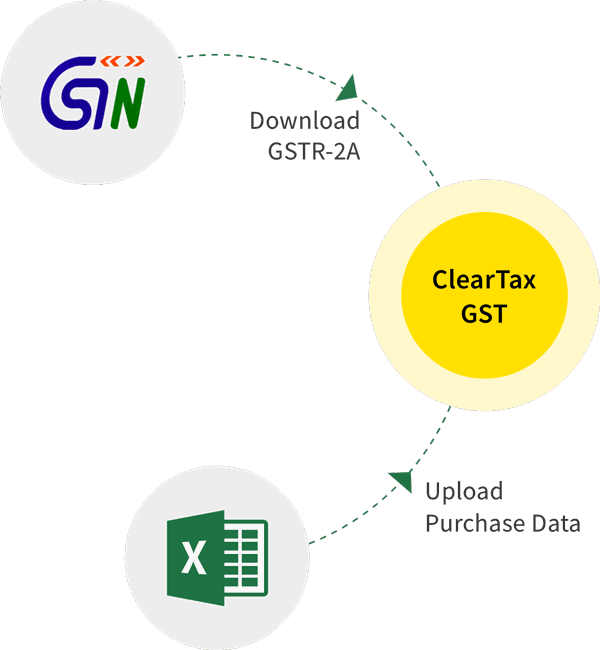 GST TRAN-1: What is TRAN-1 and How to File it? GST TRAN-3: What is TRAN-3 and How to File it?